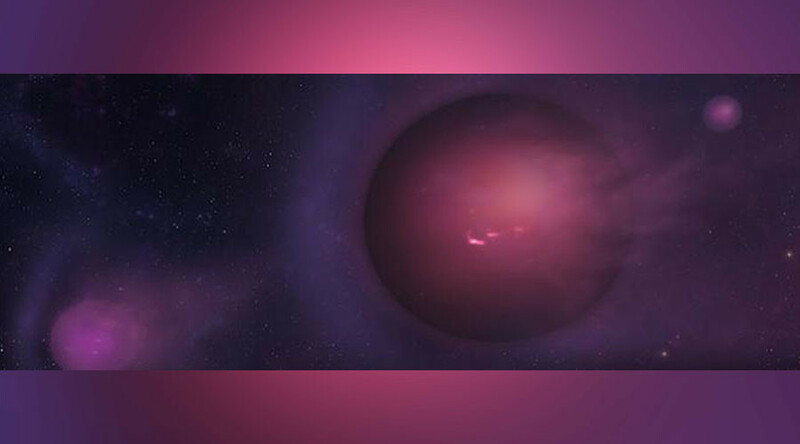 Researchers at the Harvard Smithsonian Center for Astrophysics found that gas fragments from the shredded star gathers in planet-sized ball shapes before being forced across the galaxy at speeds of 20 million miles per hour. The team, led by Eden Girma, developed a computer code to find out where these cosmic balls end up and how close they come to Earth. Their findings were presented Friday at the American Astronomical Society meeting in Texas. These so-called ‘cosmic spitballs’ weigh somewhere between Neptune and several Jupiter’s combined, and could come within a few hundred light-years of Earth, according to Girma. The far-flung space oddities escaped detection previously as - although emitting a glow from their heat - it was not bright enough to be picked up by telescope. Scientists expect this to change, though, with the launch of more advanced surveys like the Large Synoptic Survey Telescope and James Webb Space Telescope. The majority of these shooting balls will actually travel right out of our galaxy due to their high speeds, said Girma. It’s likely the same process takes place in most other galaxies which have giant black holes. "Other galaxies like Andromeda are shooting these 'spitballs' at us all the time," says co-author James Guillochon. While these objects look like planets, their formation is much quicker than the millions of years needed to form a planet. It takes only one day for the black hole to shred the star and only about a year for the fragments to combine to create this reincarnated phenomenon. It’s journey to Earth, however, is not as speedy - scientists estimate a travel time of a million years.